The benefits of a fiber-rich diet are well-known and the list is only growing thanks to a recent study showing that a diet rich in fibers might dramatically reduce the chances of developing breast cancer in women. The study published in the Pediatrics journal examined the eating habits of 44,000 women throughout their high school years. It was a comprehensive study involving four-year follow-ups and extensive questionnaires designed to provide the most objective and precise data which would then be analyzed to determine whether the fiber content in someone’s diet can affect the risk of developing breast cancer. Simply put, it does. The study has concluded that eating a high-fiber diet reduces the risk of developing breast cancer before menopause by whopping 24 percent. Even when extended, the lifetime risks are lowered by 16 percent, which is definitely a number that cannot be ignored. A high-fiber diet entails ingesting more than 24 grams of fibers per day. This is by no means the first time the beneficial effects of a high-fiber diet were investigated. Past studies have shown that such a diet positively affects one’s digestion by promoting healthy bowel movements and absorbing water in the intestines. A fiber-rich diet was also found to protect against colorectal cancer and provide added benefits to the cardiovascular system and blood sugar levels. More recently, there has also been plenty of research done indicating the fibers might also play a role in weight management. 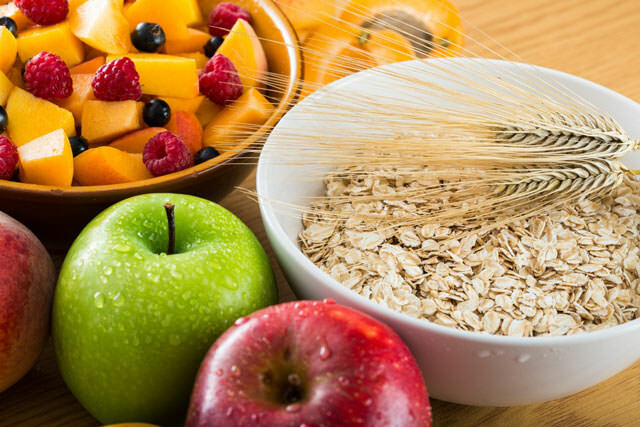 Breast cancer specialist at the Duke Cancer Center, Kimberly Blackwell says that this is a very important study which proves that eating high-fiber diet during high school may actually result in lower incidence of breast cancer in premenopausal women. She has also added that this probably has to do with the fact dietary fibers can reduce the levels of circulating estrogen in the system. The authors of the study have offered other explanations too, like for instance the role fiber play in sugar metabolism. Regardless of what the exact mechanisms behind this might be, it is a fact that a high-fiber diet during high school can help women prevent breast cancer later in life. It should be pointed out, however, that the study mostly rests on the recollection of the women who participated in it, making “recall bias” a possible reason for imperfectly conclusive results of the study. That being said, the sheer numbers are significant enough to guarantee a sufficient validity to the study.